Radio utility monitoring may seem like just a hobby, but there is great practical value in keeping tabs on the airwaves outside of the ham bands. In an emergency or SHTF situation, traditional media may be offline or unreliable. Utility radio monitoring is the perfect “plan B”. This time around, we’ll go over options that use your off grid capabilities as a force multiplier to collect information when everyone else is just guessing. What is utility radio monitoring? Utility radio frequencies are basically everything except amateur and commercial broadcast transmissions. This can include police, fire & medical; municipal (road crews, public transit, etc. ), hospitals, universities, private security, aircraft, maritime, businesses (tow trucks, gas/electric, etc. ), military, federal agencies…the list is very long! If you are a survivalist/prepper, a radio hobbyist, or just a concerned citizen, listening to these organizations’ chatter can provide great insight about what is going on in your locale. Utility radio monitoring is not only interesting, it can also be a very valuable source of information at times when accurate news may be hard to find. In the last few years there have been high-profile storms, fires, floods, and other tense situations where the broadcast media was only going with generic information meant for a mass audience. There can also be highly localized events that the media does not consider newsworthy but are important to those in the immediate area. You’ll be in the dark unless you take matters into your own hands. The broadcast media regularly monitors utility radio transmissions for news gathering purposes; you should too. If you already have some form of off grid power, adding utility radio monitoring capability is an inexpensive force multiplier. When the grid does down and the rest of the world is clamoring for information on a clogged cellular data network (assuming the network is up at all), you’ll have the independent means to know what’s going on. Step one: Identify utility radio sources. The first thing you need to do is make a list of anything worth listening to in your area. The most obvious are police/fire/medical, but look beyond the obvious: Are there any large factories, airports, shopping malls, trucking terminals, or rail yards nearby? All of these entities probably have their own designated frequencies for their internal operations. Any place that is a particularly desirable terror target or otherwise has the potential to be a big problem if things go bad should be high on your list. This would include power plants, chemical plants, water treatment facilities, dams & locks, refineries, pipelines, Federal facilities, military bases, and prisons.This type of equipment is accessible to any company, all they have to do is BUY INDUSTRIAL COMPUTERS, PANEL PC, PROJECTED CAPACITIVE TOUCH SCREEN to complete the set-up and they’re online. List everything you can think of even if it seems unimportant. You can always edit the list later. Back in the early times before the internet when I first started monitoring utility radio, I got the frequencies used by the local police department simply by calling them and asking! 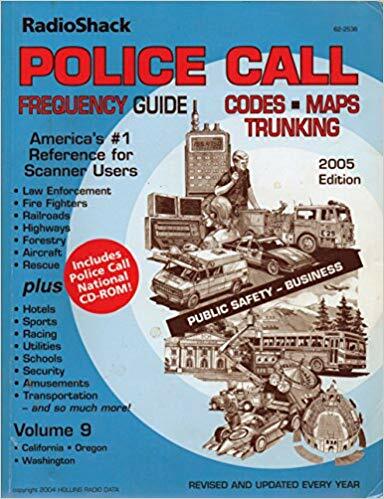 For everything else, there was the very famous Police Call scanner guide published by now-defunct Radio Shack. Later came the Scanner Master frequency reference. I split the costs with a friend and it was worth every cent. At the time there was no way to get comprehensive frequency data without giving up some cash. Of course today the internet is flush with free resources. By a very large margin the undisputed king for utility radio frequency listings is RadioReference.com. 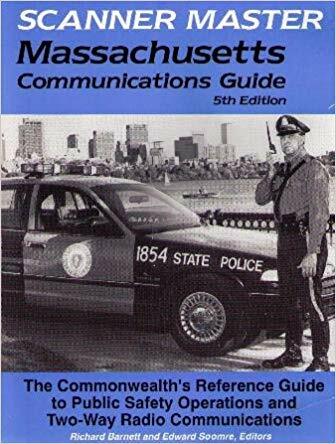 If you have been doing this long enough to remember using printed physical books, the immense volume of data and ease of accessing it on Radio Reference is breathtaking. If you could have only one single website for a utility radio frequency database, Radio Reference would be it. On the RR homepage click the “Reference Database” tab. On the next page you will see a map of the USA. Click on your state, and then your county. That’s all there is to it…three clicks gets you a very detailed list of every single utility radio licensee in your area, their call signs, and frequencies. There will probably be stuff in there you didn’t even know about. How to handle the data is a personal decision. I opted to print out the complete list and keep it in a binder so I’ll still have the data if the internet does down. Radio Reference makes this easy with downloadable .pdf’s. If you’re a spreadsheet person, they have an export function too! Some people store their utility radio frequency lists on a USB drive that can be accessed offline. It does not matter…whatever works for you is the best method as long as it does not depend on an internet connection. There are dozens of scanners on the market ranging in price from less than $100 to over $500. If you’re unfamiliar with scanners, this Off Grid Ham article from July, 2016 goes over the basics needed to get you started. Handhelds, base units…there is so much to pick from. The used market is especially ripe. I’ve scooped up really nice programmable scanners for as little as ten bucks! They don’t necessarily cost a lot of money, so there is no financial barrier to utility radio monitoring. One important factor you need to consider when shopping for a scanner is how many channels it has. If you have a list of 100 frequencies you want to monitor and your scanner has a capacity of only 50, there’s going to be a problem. And don’t think you’ll “never” need a lot of channels. It’s surprising how many active frequencies are out there, especially if you live in a heavily populated area. A big city can have dozens of frequencies just for ambulances alone. You can never have too many channels. How you arrange frequencies within your scanner is also a personal decision with no one right answer. Scanners can be set up with frequency “banks” or groups that can be turned on and off as needed. Banks can be programmed by geographic area, service (medical, police, etc.) or whatever format pleases you. I have all the frequencies for my town in one group so I can hear everything going on. I set up separate groups for the towns around me as well as state & county agencies, railroads, and aviation. Lastly, I have a group for frequencies that are not interesting enough to monitor all the time but I want to keep at the ready to use on an ad hoc basis. Shopping malls, gas & electric crews, and Federal agencies fall into this category. A big part of utility radio monitoring is being prepared. If something goes down, I can punch a button and quickly be in the loop without having to burn time hunting through a database for a frequency and programming it into my scanner. The wonder of the internet has brought us smartphone apps that stream utility radio transmissions from almost anywhere. Many of the apps are free, and they allow anyone to participate with no special antennas or hardware beyond the smartphone everyone owns anyway. My advice on monitoring apps is the same as always: Give them a try and have fun, but don’t rely on them as your sole method of utility radio monitoring. If you are listening over the internet you are by definition not off grid. The system can and probably will fail when you need it the most. There are also the usual internet privacy & security concerns with using connected devices. While traditional broadcasting on shortwave frequencies has fizzled out to the point that about all you’ll hear is over the top religious screeds and blatant propaganda from various governments, there is still a lot of utility radio activity in between the pablum. You’ll have to try a lot harder to hear them because transmissions are not made on a regular schedule, and they usually involve much lower powered transmitters. These communications may not be very relevant to local concerns, but they are worth tracking if global events go hot. The KV5R website has a very well composed list of popular frequencies. If you have an HF radio made in the last 25 years or so, it probably already has a general coverage receiver built in, so for most of us there are no additional equipment or antenna costs. Get all that you can out of all the tools you have! SWLing.com is a good resource for non-ham activity on the HF bands. Like all of amateur radio, utility radio monitoring is a fun hobby that has useful side benefits. Since off grid amateurs have an inherent awareness of how things can go wrong, it only makes sense that we keep our skills sharp and our resources ready in the not-so-unlikely event that our fun pastime has to serve its secondary purpose of being an important survival tool. Radio Reference: Don’t bother looking for anything better, because RR the beginning and the end, the ultimate standard for everything above 50 Mhz. Even the FCC database is weak in comparison. Nothing else is even close. KV5R has a very lengthly list of utility radio frequencies on HF. SWLing.com is a well known and reputable blog about listening to HF outside the ham bands. This Off Grid Ham article goes into more detail on the different types of receivers. I used to monitor the local frequencies back in the 70s and 80s but got away from it for a variety of reasons, mostly because, well, kids started coming along and that pretty much took up all of our extra money and time and I never got back to it for some reason. I do remember that monitoring the local highway department frequencies was a heck of a lot better source of information for road conditions during storms than the local news reports were. Now you’ve sparked my interest again and I’m going to have to start looking for deals on receivers the next time I get to a ham fest. There is generally someone selling used ones at reasonable prices. Good point about the cell phone based communications monitors as well. In a genuine emergency there is a very good chance cell phone and internet service is going to go down and they’ll be useless. It’s a shame that shortwave broadcasting has been falling out of favor. I can understand why, but I’m still a bit sad about it. My first introduction to radio technology came when I got a Panasonic multi-band radio for Christmas when I was about 14 or so and I’d spend hours tuning in international broadcasts and AM amateur radio transmissions. That’s how I first learned about the arcane science of radio propagation and how antennas worked. Thanks Chris, for the reminders about monitoring and use of scanners. I’ve been remiss and I need reminders… so thank you. I checked RadioReference.com based on your previous posts, and was amazed at the info. available at one source – even made some copies of specific data… but still no scanner. I finally broke down and got a smart phone recently and look forward to getting some SOTA apps and maps, being able to spot myself (if I have service) on the mountain top and post where I’ll be so locals can find me… ha! Sounds like fun, but I know it will be more work than I’m expecting… but, with practice it should get easier. Got myself a 2m yagi antenna and will be heading west soon, w/ 5 w output! Thanks, Chris -I’ve learned much from you over the past couple of years and it’s much appreciated! Hi Mike, I’m really glad to hear you have benefitted from what we do here at Off Grid Ham. Scanners are a worthwhile investment, and you don’t have to spend a ton of cash. I own several scanners (some of which are $$$), but one of my favorites is my Uniden BC-355. I think I paid $25 for it at a swap meet a few years ago. It a no-frills affair and lacks a lot of cool stuff the big boys have, but with list prices in the $75-$80 range it’s a hell of a bang for the buck. I absolutely love the BC-355. If you travel a lot, there are also handheld scanners. The BC-125AT is less than $100 and performs well above its price tag. I still have my old scanners somewhere box away and I’m now using my new digital scanners to keep track of everything in my area. I did shy away from the scanner there for a while when I got into ham radio. I know everybody in my small town had a scanner until they went to P 25 . After a lot of these people saw a $500 price tag for the new scanners they just quit scamming. Many organizations are moving away from common analog radio, but there is still plenty to listen to without high end equipment. Like everything in technology, the costs will come down as the technology is implemented.